There are a lot of amazing things about living in the modern day world. I mean, everything is so much easier than it used to be. However, in a lot of aspects, things are much harder than they ever have been. Modern day society has taken a violent turn in the direction of consumerism. Because of the internet, social media platforms have taken over our lives. So much so that it’s like we are living parallel lives online. We’re obsessed with likes, comments, and shares. We try and maintain a clean feed and timeline that depict the way we want people to view us as. These are alter egos that are nothing like your true self. This has caused almost everyone to lose their sense of self, purpose, and dreams. All anyone cares about now is how people think of them and how high up in status they can get by achieving wealth, objects, homes, and clothes. Consumerism has had not only an awful effect on society as a whole, but it’s killing the Earth too. The excessive demand for money, goods, and pointless objects has caused factories, plants, landfills, and more to pop up all around us. This has caused massive amounts of pollution, exposure, and deforestation of our planet’s natural resources. Even worse, what natural resources are left have been poisoned by chemicals and byproducts of mass production. 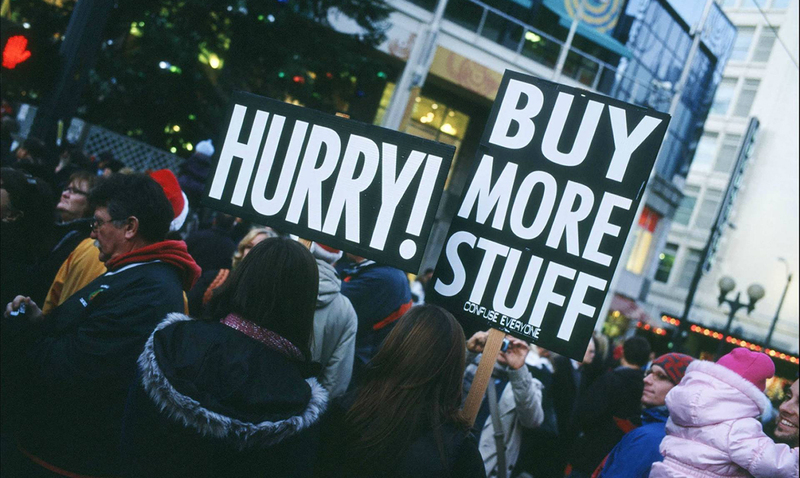 Consumerism will be the way we self-destruct ourselves. It’s going to put an end to humanity, very likely resulting in the last extinction Earth will see. Hell, our massive demand for anything we can spend money on might very well cause the end of days for Earth as a planet entirely! Why not try taking a step back from the world of consumerism? After all, the best things in life aren’t really things at all.